Paragonite: Mineral information, data and localities. 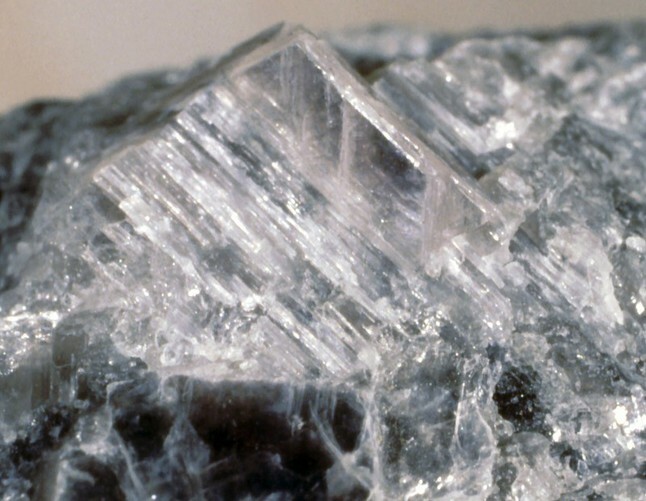 Named in 1843 by Karl Emil Schafhäutl from the Greek, παραγειυ to mislead as the mineral looked like talc, but did not contain Mg.
An uncommon Na-member of the mica group. Occurs in low- to medium-grade metamorphic schists and phyllites, in muscovite-biotite gneisses, quartz veins, ¯ne-grained sediments, and glaucophane-bearing rocks. Brammallite A sodium-deficient variety of paragonite, an analogue of illite. May be derived sometimes from the Na-leaching of paragonite, or by alteration of muscovite or other aluminous minerals. Cossaite (of Piolti?) A K-bearing paragonite. Celadonite Family A subgroup of the dioctahedral mica group. Kyanite 10 photos of Paragonite associated with Kyanite on mindat.org. Staurolite 6 photos of Paragonite associated with Staurolite on mindat.org. Chloritoid 1 photo of Paragonite associated with Chloritoid on mindat.org. Pargasite 1 photo of Paragonite associated with Pargasite on mindat.org. Garnet Group 1 photo of Paragonite associated with Garnet Group on mindat.org. Quartz 1 photo of Paragonite associated with Quartz on mindat.org. Tourmaline 1 photo of Paragonite associated with Tourmaline on mindat.org. Feldspar Group 1 photo of Paragonite associated with Feldspar Group on mindat.org. 16.2.9 Rectorite (Na,Ca)Al4((Si,Al)8O20)(OH)4 · 2H2O Mon. Schaller, W.T., Stevens, R.E. (1941) The validity of paragonite as a mineral species. American Mineralogist: 26: 541-545. Yoder, H.S., jr. (1957): Experimental studies on micas: A synthesis. Clays and Clay Minerals 6, 42-60. Lin C.Y., Bailey S.W. (1984) The crystal structure of paragonite-2M1. American Mineralogist: 69: 122-127. Guidotti, C.V., Mazzoli, C., Sassi, F.P., Blencoe, J.G. (1992) Compositional controls on the cell dimensions of 2M1 muscovite and paragonite. European Journal of Mineralogy: 4: 283-297. Comodi P., Zanazzi P.F. (1997) Pressure dependence of structural parameters of paragonite. Physics and Chemistry of Minerals: 24: 274-280. Rieder, M., Cavazzani, G., D'Yakonov, Y.S., Frank-Kamenetskii, V.A., Gottardi, G., Guggenheim, S., Koval, P.V., Müller, G., Neiva, A.M.R., Radaslovich, E.W., Robert, J.-L., Sassi, F.P., Takeda, H., Weiss, Z., Wones, D.R. (1998) Nomenclature of the micas. The Canadian Mineralogist: 36: 905-912. Guidotti, C.V., Sassi, F.P., Comodi, P., Zanazzi, P.F., Blencoe, J.G. (2000): The contrasting responses of muscovite and paragonite to increasing pressure: petrological implications. Canadian Mineralogist 38, 707-712. Petersen, S., Herzig, P.M., and Hannington, M.D. (2000): Mineralium Deposita 35, 233-259. Allibone, A. 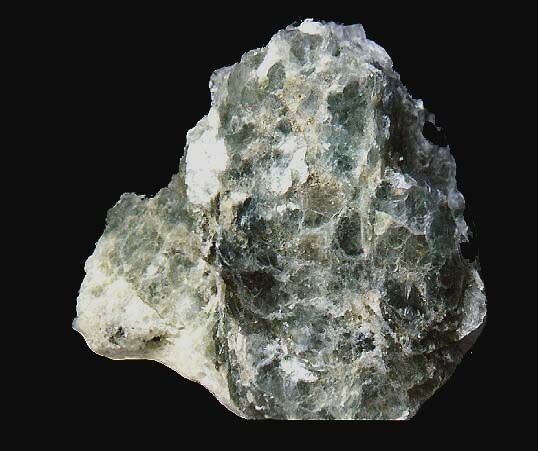 (1998): Mineralium Deposita 33, 495-512. Postl, W. & Moser, B. (1988): Mineralogische Notizen aus der Steiermark. Mitt. Abt. Miner. Landesmuseum Joanneum, 56, 5-47. Richardson, D.J., Ostry, G., Weber, W., Fogwill, W.D. (1996) Gold deposits of Manitoba, Manitoba Energy and Mines, Economic Geology Report 86-1 (2nd Edition), 114 p.
SABINA, A.P. (1976): Rocks & minerals for the collector: The Magdalen Islands, Quebec and the island of Newfoundland. Geological Survey of Canada Paper 75-36, 199p. Reissued in 2003 as Île de la Madeleine, Quebec, the Island of Newfoundland and Labrador. Geological Survey of Canada Miscellaneous Report 58, 160-161. Oberti, R., Boiocchi, M., and Smith, D.C. (2003): Mineralogical Magazine 67(4), 769-782. Novák, M. & Škoda, R. (2007): Mn3+-rich andalusite to kanonaite and their breakdown products from metamanganolite at Kojetice near Třebíč, the Moldanubian Zone, Czech Republic. Journal of Geosciences, 52(1-2), 161-167. Katerinopoulou, A.,Balic-Zunic, T. Kolb, J. & Berger, A. (2012): Mineralogy of hydrothermal alteration zones of the Nuuluk gold prospect, Tartoq gold province,Sermiligaarsuk Fjord, South-West Greenland. Abstract P 37, 30th Nordic Geological Winter Meeting, Reykjavík, Iceland 9–12 January 2012. Orovan, E.A. (2016) Geology, Geochemistry and Genesis of the Namosi Porphyry Cu-Au Deposits, Fiji. Doctoral dissertation, University of Tasmania, 274 pages. Chauris, L. (2014): Minéraux de Bretagne, Les Editions du Piat, 285. Baumann, L., Kuschka, E., and Seifert, T. (2000): Lagerstätten des Erzgebirges. Enke (Stuttgart), pp. 229-234. 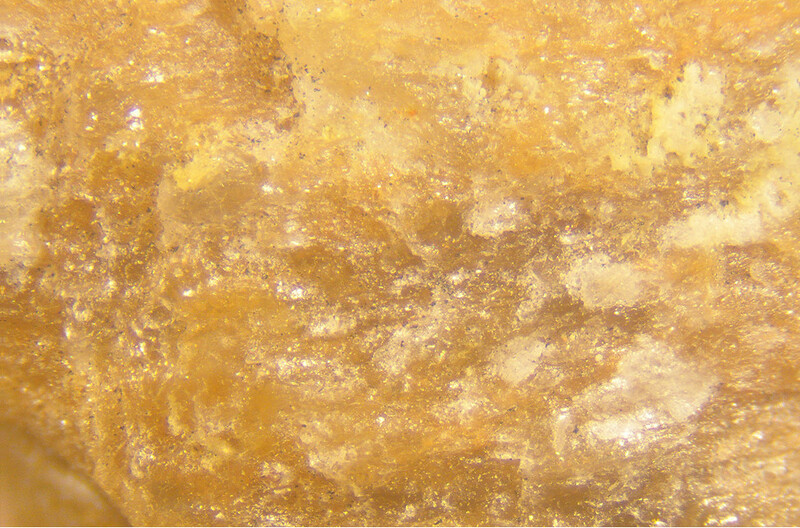 Stöckhert, Bernard, Johannes Duyster, Claudia Trepmann, Hans-Joachim Massonne (2001), Microdiamond daughter crystals precipitated from supercritical COH & plus; silicate fluids included in garnet, Erzgebirge, Germany: Geology: 29(5): 391-394. Allibone, A., Teasdale, J., Cameron, G., Etheridge, M., Uttley, P., Soboh, A., ... & Odoom, B. (2002). Timing and structural controls on gold mineralization at the Bogoso gold mine, Ghana, West Africa. Economic Geology, 97(5), 949-969. Kolitsch, U., Rieck, B. and Voudouris, P. (2015): Mineralogy and genesis of the Lavrion ore deposit: new insights from the study of ore and accessory minerals. MinPet 2015, Leoben, Austria, September 10-13; abstract in Mitt. Österr. Mineral. Ges. 161, 66.; Rieck, B., Kolitsch, U., Voudouris, P., Giester, G. and Tzeferis, P. (2018): Weitere Neufunde aus Lavrion, Griechenland. Mineralien-Welt 29 (5), 32-77 (in German). Eur. J. Mineral. , 1992, 4, pp. 487-507. Seck, H.A., Koetz, J., Okrusch, M., Seidel, E., and Stosch, H.G. (1996) Geochemistry of a meta-ophiolite suite; an associated metagabbros, eclogites and glaucophanites on the island of Syros, Greece. European Journal of Mineralogy, 8 (3), pp. 607-623.; Schumacher, J.C., Brady, J.B., Cheney, J.T., and Tonnsen, R.R. (2008) Glaucophane-bearing marbles on Syros, Greece. Journal of Petrology 49, 1667-1686. Ramakrishnan, M. et al (1975) Journal of the Geological Society of India, 16, #3, 326-336. Singer, D.A., Berger, V.I., and Moring, B.C. (2008): US Geological Survey Open-File Report 2008-1155.; Idrus, A., Kolb, J., & Meyer, F. M. (2009). Mineralogy, Lithogeochemistry and Elemental Mass Balance of the Hydrothermal Alteration Associated with the Gold‐rich Batu Hijau Porphyry Copper Deposit, Sumbawa Island, Indonesia. Resource geology, 59(3), 215-230. Ali Sholeh, Ebrahim Rastad, David Huston, J. Bruce Gemmell and Ryan D. Taylor (2016): The Chahnaly Low-Sulfidation Epithermal Gold Deposit, Western Makran Volcanic Arc, Southeast Iran. Economic Geology 111, 619-639. Max, M.D., Treloar, P.J., Winchester, J.A. and Oppenheim, M.J. (1983) Cr Mica from the Precambrian Erris Complex, NW Mayo, Ireland. Mineralogical Magazine, vol. 47, n° 344, pp. 359-364.; Ryback, G., Nawaz, R. and Farley, E. (1988) Seventh Supplementary List of British Isles Minerals (Irish). Mineralogical Magazine, vol. 52, n° 365, pp. 267-274. Toffolo, L. (2012-13) Studio dell’antico sito metallurgico di Misérègne (Fénis, AO): la miniera, le scorie. Tesi di laurea magistrale in geologia e geologia tecnica. Università di Padova, Dipartimento di Geoscienze, 113 pp. Goffé, B., and Bousquet, R. (1997) Ferrocarpholite, chloritoïde et lawsonite dans les métapélitesdes unités du Versoyen et du Petit St Bernard (zone valaisanne, Alpes occidentales). Schweizerische Mineralogische und Petrographische Mitteilungen, 77, 137-147. Tribuzio R. (1992): Distribuzione delle terre rare e di alcuni elementi in tracce nei principali minerali dei meta-Fe-gabbri delle ofioliti liguri: aspetti cristallochimici ed implicazioni petrogenetiche. Tesi di Dottorato, Università di Pavia, 148 pp. ; Vignaroli G., Rossetti F., Rubatto D., Theye T., Lisker F., Phillips D. (2010): Pressure-temperature-deformation-time (P-T-d-t) exhumation history of the Voltri HP complex, Ligurian Alps, Italy. Tectonics, 29, 6, TC6900. Goffé, B. (2002): Località a ferro- e magnesiocarpholite nelle Alpi Cozie e Marittime. In: Piccoli, G.C., I minerali delle Alpi Marittime e Cozie. Provincia di Cuneo. Associazione Amici del Museo "F. Eusebio" di Alba, Ed., Alba, 137-139. Schaller, W.T. & Stevens, R.E. (1941): The validity of paragonite as a mineral species. American Mineralogist, 26, 541-545. Chiesa, S., Liborio, G., Mottana, A., Pasquaré, G. (1972): La paragonite nei calcescisti delle Alpi: distribuzione ed interpretazione geo-petrologica. Mem. Soc. Geol. Ital., 11,1-30. Costantini A., Decandia F.A., Elter F.M., Franceschelli M., Giorgetti G., Lazzarotto A., Liotta D., Memmi I., Sandrelli F., Tavernelli E. (1995): Low-temperature metamorphism in Southern Tuscany: P-T indicators and geodynamic implications. Workshop on Low-T Metamorphism, Siena, 24-26/5/1995. Guidebook for the Post-Workshop Field Excursion, 1-35; Reinhardt J., Rossetti F. (2004): Monte Argentario and Isola del Giglio (Southern Tuscany, Italy): a record from continental break-up to subduction, orogenic wedge formation, and post-orogenic extension. 32nd International Geological Congress (IGC), Florence, August 20-28, 2004. Post-Congress P61. Field Trip Guide Book - P61, 19 pp. Franceschelli M., Leoni L., Memmi I., Puxeddu M., (1986): Regional distribution of Al-silicates and metamorphic zonation in low-grade Verrucano metasediments from the Northern Apennines, Italy. J. of Metamorphic Geolog., 4, 309-321; Giorgetti G., Goffé B., Memmi I., Nieto F. (1998): Metamorphic evolution of Verrucano metasediments in northern Apennines: new petrological constraints. Eur. J. Mineral., 10, 1295-1308. Ko, Z. W., Enami, M., & Aoya, M. (2005). Chloritoid and barroisite-bearing pelitic schists from the eclogite unit in the Besshi district, Sanbagawa metamorphic belt. Lithos, 81(1), 79-100. Kato, A. (2009) Explanations of distributed specimens at the Ordinary Meeting of Mumeikai Group, #27, 426-427. Agard, P., Labrousse, L., Elvevold, S., & Lepvrier, C. (2005). Discovery of Paleozoic Fe-Mg carpholite in Motalafjella, Svalbard Caledonides: A milestone for subduction-zone gradients. Geology, 33(10), 761-764. [var: Brammallite] Uzarowic, L., Segvic, B., Michalik, M., Bylina, P. (2012) The effect of hydrochemical conditions and pH of the environment on phyllosilicate transformations in the weathering zone of pyrite-bearing schists in Wiesciszowice (SW Poland) . Clay Minerals, 47:4, 401-417. Novák, M. et al. (2009): Ferronigerite with dominant substitution TiSn-1 in muscovite+chlorite aggregate from massive quartz nodule associated with a petalite-rich aplite-pegmatite of the Barroso-Alvão pegmatite field, Northern Portugal. N. Jb. Mineral. Abh. 186, 67-78. Plotinskaya, O. Y., Abramova, V. D., Groznova, E. O., Tessalina, S. G., Seltmann, R., & Spratt, J. (2018). Trace-element geochemistry of molybdenite from porphyry Cu deposits of the Birgilda-Tomino ore cluster (South Urals, Russia). Mineralogical Magazine, 82(S1), S281-S306. Rusinov, V.L., Rusinova, O.V., Kryazhev, S.G., Shchegol’kov, Y.V., Alysheva, E.I., and Borisovsky, S.E. (2008): Geology of Ore Deposits 50(1), 1-40. Grabezhev, A.I., Pokrovskii, B.G., Buslaev, F.P., Zaikov, V.V., and Pshenichnyi, G.N. (2000): Lithology and Mineral Resources 35(1), 70-75. Izbrodin, I.A., Ripp, G.S., and Doroshkevich, A.G. (2010): Mineralogy and Petrology (in print). Bertossa, A., 1967. Inventaire des minéraux du Rwanda. Bulletin du Service Géologique de Rwanda 4, 25-45. B. Goffé et al. , Eur. J. Mineral. , 1996, 8, pp. 335-348. J.M. Azanon and B. Goffé, Eur. J. Mineral., 1997, 9, pp. 1035-1051. Stalder, H. A., Wagner, A., Graeser, S. and Stuker, P. (1998): Mineralienlexikon der Schweiz. Wepf (Basel), p. 296.; Weiß, S. (2014): Disthen von der Alpe Sponda. Lapis, 39 (9), 12-25; 62; Charlotte Redler, Alfred Irouschek, Teresa Jeffries and Reto Gieré (2016): Origin and Formation of Tourmaline-rich Cordierite-bearing Metapelitic Rocks from Alpe Sponda, Central Alps (Switzerland). Journal of Petrology, 57, 277-308. Roth, Ph. (2007): Minerals first discovered in Switzerland and minerals named after Swiss individuals. Philippe Roth, Ed., Zurich, 239 pp. Zen, E.-A., Ross, M., Bearth, P. (1964): Paragonite from Täsch Valley near Zermatt, Switzerland. American Mineralogist 49, 183-190. Lomthong, P. (2004) Characteristics of some Corundum from Songea Deposit, Tanzania. Okay, A.I. (2002): Journal of Metamorphic Geology 20, 757-768. McNamara, M.J. (1963) Paragonite from the Dalradian. Nature 197, 1193.; Livingstone, A. and Macpherson, H.G. (1983) Fifth supplementary list of British minerals (Scottish). Mineralogical Magazine, vol. 47, n° 342, p. 99-105. Anthony, J.W., et al (1995), Mineralogy of Arizona, 3rd.ed. : 320; Shafiqullah, M., et al (1980), K-Ar geochronology and geologic history of southwestern AZ and adjacent areas, in J.P. Jenney and C. Stone (editors), Studies in western AZ, AZ Geol. Soc. Digest: 12: 201-260. Albino, G. V. (1995). Sodium metasomatism along the Melones fault zone, Sierra Nevada foothills, California, USA. Mineralogical Magazine, 59(3), 383-399. Guidott, C.V., Post, J.L., and Cheney, J.T. (1979) Margarite pseudomorphs after chiastolite in the Georgetown area, California. American Mineralogist: 64: 728-732; Pemberton, H. Earl (1983), Minerals of California; Van Nostrand Reinholt Press: 431.
ⓘ Blue Lady Mine (Blue Tourmaline claim; Blue Bell deposit; Blue Bell mine; Exposition claim; Panama claim; San Diego claim; San Diego group) ? Weber, F. H. 1963. Geology and mineral resources of San Diego County, California. California Division of Mines and Geology, County Report 3: p 89., illus., maps. Martin R. Lee & Richard C. Greenwood (1994). Alteration of calcium-and aluminium-rich inclusions in the Murray (CM2) carbonaceous chondrite. Meteoritics (ISSN 0026-1114), #29, no. 6, p. 780-790. (Dec 1994). ⓘ Adams Marble Quarry ? ⓘ Specialty Minerals Mine (Pfizer Quarry; New England Lime Quarry; Follet Quarry; Adams Lime Quarry) ? ⓘ Stockbridge Valley Brown Iron Ore District ? ⓘ Bryant Mining District (Hecla Mining District) ? ⓘ Balls Hill Iron Mines ? Visual identification by Chet Lemanski based on comparison with identically-appearing material now analytically confirmed from the Passaic pit, Sterling HIll, Ogdensburg, NJ. Rumrill, J. E. and Nikischer, Tony (2002), Paragonite added to the Franklin-Sterling Hill species list. The Picking Table, vol. 43, no. 2, p. 22. Reed, Juliet C. (1976), Annotated Biblio. of Mins. New to the PA List 1965-1974, The Mineralogical Soc. of PA, Inc.: 59-60; Silliman, Benjamin, Jr. (1849), "Descriptions and Analyses of Several American Mins," Am. Jour. Sci., Vol. 8:381. Reed, Juliet C. (1976), Annotated Biblio. of Mins. New to the PA List 1965-1974, The Mineralogical Soc. of PA, Inc.: 59-60; Gohn, Gregory S. and Thompson, Allen M. (1974), "Lithofacies in the Marburg and Wissahickon Formations near the Martic Line, York and Lancaster Cos., PA," Geol. Soc. Am. Abstracts with Programs, Vol. 5(1):31. Quinn, A. W. and H. D. Glass (1958): Rank of coal and metamorphic grade of rocks of the Narragansett Basin of Rhode Island (Economic Geology 53(5): 563-576). Rosenfeld, John L. (1956). Paragonite in the Schist of Glebe Mountain, Southern Vermont (Am Min 41:144-147). Kerrich, R., Fyfe, W. S., Barnett, R. L., Blair, B. B., & Willmore, L. M. (1987). Corundum, Cr-muscovite rocks at O'Briens, Zimbabwe: the conjunction of hydrothermal desilicification and LIL-element enrichment—geochemical and isotopic evidence. Contributions to Mineralogy and Petrology, 95(4), 481-498.